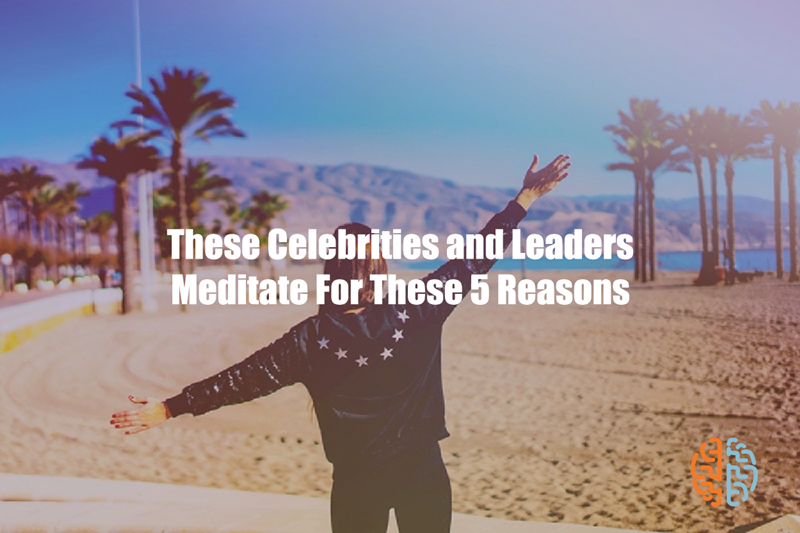 Oprah Winfrey, Deepak Chopra, Kobe Bryant, Jerry Seinfeld, Jennifer Aniston, Ellen DeGeneres, Evan Williams – these are just a few celebrities and famous people who meditate on a regular basis. But why would celebrities want to meditate? Don’t they have everything they could ever want? As it turns out they don’t. Having money and fame comes with its own stresses and difficulties and celebrities and famous people use guided meditation and guided imagery to cope. 1. We have already mentioned that they use these techniques to deal with stress. Being a celebrity can be stressful – you have an image to uphold and that is not always easy. In addition to that they have a lot of money to manage and this can also be rather stressful. Guided imagery and meditation are the perfect ways to cope. 2. They use meditation to clear their minds – as you may imagine, a celebrity’s life is ever busy and if not careful they can get overwhelmed. Meditation is a way for them to get a clear mind once again. 3. Meditation helps celebrities stay grounded. Being a celebrity can get to one’s head and make them regard others as less than equals. By meditating and getting in touch with the universe they are able to treat others as they would like to be treated themselves. 4. Meditation helps celebrities build on their success. It is easy to become a celebrity and then rest on your laurels but if you want to do more with your life meditation will help you figure things out. 5. The benefits of meditation are huge compared to how long it takes. Al you need is 5 minutes a day and you have the power to transform your life. You too can benefit from the power of guided imagery and guided meditation so long as you take the time to learn how to do it.